Live music is definitely not only for weekends. The 2011 Savannah Music Festival offers great music every night of the week from March 24 – April 9. We still have midweek openings at our Savannah Vacation Rentals during the festival. 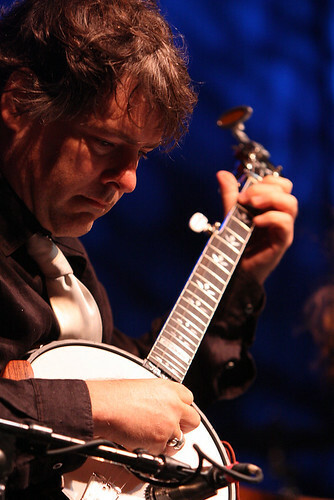 See Bela Fleck at the 2011 Savannah Music Festival. Those of you who can travel to Savannah during the week will not lack for a diverse line-up. Classical music, blues, jazz – you’ll find all three and more during the Savannah Music Festival. Delta Guitar Singer: Michael Burks, Lucky Peterson and Sherman Robertson play the blues on both acoustic and electric guitars. Percussion Summit: Jason Marsalis, Hans Kristian Kjos Sorensen, and Joe Craven. An only-in-Savannah production. Catherine Leonard: one of the leading violinists in Ireland. Bela Fleck with the Marcus Roberts Trio: an only-in-Savannah collaboration. Celestial Voices: Stile Antico early music vocal ensemble from Britain. Unearthly. Please visit Savannah Music Festival to see a complete schedule and to purchase tickets. Most of the festival venues are within walking distance from our Savannah Vacation Rentals. Walk to great music and explore historic downtown Savannah whenever you’re not listening to the music. It sounds like a great vacation.